Come for an afternoon of learning, fun and face mask creating. We will start the workshop talking about your skin and determining if you are more, Dry, Oily, Sensitive or Combination. During this workshop you will learn about natural plant based skincare ingredients. 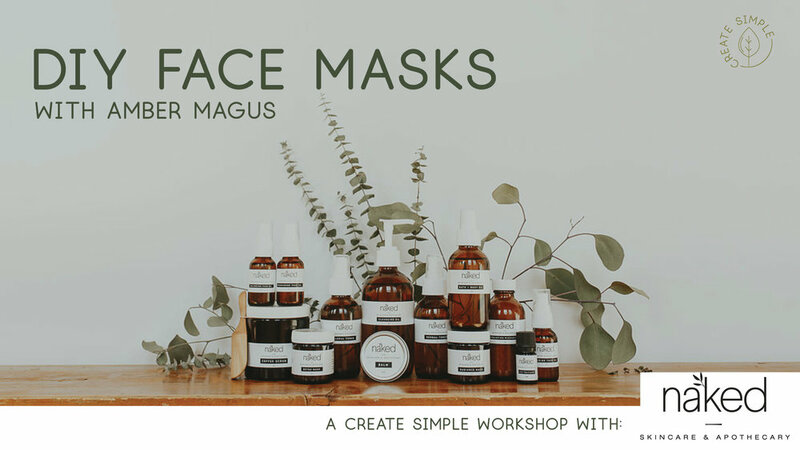 Amber will help you learn about your skin type, find out which ingredients will suit your skin and help you create your own custom face mask that you can take home. We will finish the workshop by mixing up and applying your newly mixed mask. Ticket includes refreshments provided by Generation Green and Acorn Cafe and an info sheet that sums up all the things you learned at the workshop so you can make it again at home! Come spend an afternoon making a new product for your beauty routine. Check out our wonderful creator for the afternoon, Amber from Naked Skincare.